South Puget Sound Community College (SPSCC) is providing several new opportunities for Yelm residents to complete high school and get college credit starting fall of 2018. Whether you’re in high school and looking to get a jump start on college, or you’re a full time working adult looking to start college or get your high school diploma, SPSCC has options for you. This fall launch of the program is just the beginning, as SPSCC and the Yelm School District hope to build out an AA transfer degree program with evening, weekend, and online courses in the future. Classes start September 17, so enroll today by visiting SPSCC’s website. Brand new to Yelm, this exciting program will allow community members 21-years-old and up the opportunity to receive their high school diploma by demonstrating competence in reading, writing, math, and other required subject areas. Faculty will also take into consideration a student’s past experience gained through life, work, or school, and create a customized program for each person to reach graduation. Starting September 17 at the Yelm Extension School, this affordable option is priced at $35 per quarter with financial assistance available. Free on-site childcare will be provided by the YMCA, with classes taking place Monday and Wednesday evenings from 6:00 p.m. to 8:20 p.m. There are several benefits of receiving a diploma through the HS21+ program, including qualifying for more federal financial aid for college, as well as a higher likelihood of being accepted into the military compared to earning a GED. Info Sessions for HS21+ will take place at the Yelm Extension School on September 10 and September 12 from 6:00 p.m. to 8:00 p.m. To register for an Info Session, visit SPSCC’s website. 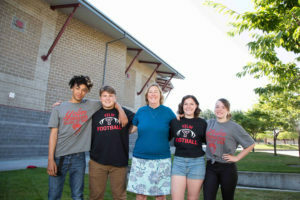 If you haven’t heard of Running Start yet, it’s a unique opportunity for high school juniors and seniors in Washington State to attend community college, earn college credits, and transfer to most 4-year colleges and universities in Washington. However, due to transportation or financial barriers, many high schoolers from Yelm are unable to make the 22-mile commute required to make it to the SPSCC campus every day for class. Starting this fall, juniors and seniors at Yelm High School and Rainier High School can take a free bus to SPSCC campuses. Apply for your seat on the bus now by visiting the Running Start page. Noncredit continuing education classes, taught by Yelm area residents, will begin in January 2019. Heidi Andrade, SPSCC director of business and strategic programming for continuing education, says she plans to continue to work closely with the Yelm Chamber of Commerce to make connections and further this program. 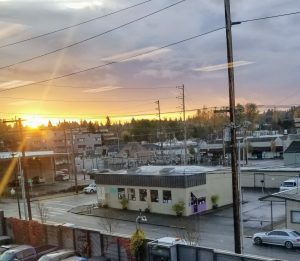 “My hope is that there will be a local movement in Yelm toward using expertise that is already there to teach others in the city,” Andrade says. The first planned classes include writing and photography, with many more to follow. 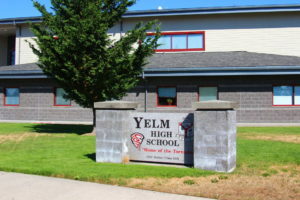 Unlike the SPSCC in Yelm evening courses or Running Start, College in the High School (CHS) will allow Yelm High School students to take college-level classes, taught at the high school during the day by YHS teachers. This means interested students can earn college credit from SPSCC for specific classes simply by attending high school classes they’re already taking. 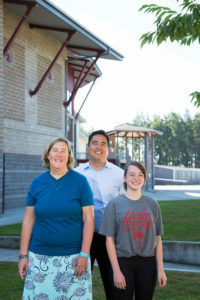 High school teachers involved have been preapproved and meet college-level teaching credentials and will be working closely under the mentorship of SPSCC faculty. Cadero-Smith says CHS further utilizes existing resources (public school buildings, transportation services, breakfast/lunch programs, teachers, counselors, and curriculum) to deliver college courses to students, a highly efficient use of taxpayer dollars. As well, YHS students are able to earn college credit at $90 per course. Cadero-Smith says CHS also allows current students to not miss out on the high school experience like they might if they left campus for Running Start. YHS College in the High School teacher Erika Hedegard with YHS students Devin Martin, Auston Higuera, Morgan March, and Bailey Hobson. Due to the incredible teamwork and passion of the Yelm School District and SPSCC staff and faculty, hopefully more Yelm residents than ever before will be able to accomplish their educational and professional goals. For more information, visit the South Puget Sound Community College website.